During the American Civil War neither side was without some monarchial connections. 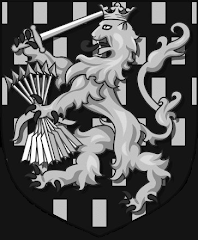 Men of royal rank actually fought on both sides, which is not all that surprising given what a titanic struggle it was. Given that the conflict marked the bloodiest war ever fought in the western hemisphere, it is only natural that others would be drawn in by it. Of course, the war did not directly concern the subject of monarchy at all as it was a war between two factions of republicans. 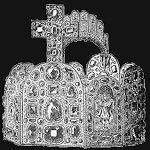 Indirectly (as we have covered here over the years) it had a great impact on a number of monarchies in the world, particularly in effort to revive monarchism in the Americas by the Spanish in the Caribbean and the French in Mexico (and perhaps beyond). Both sides, however, had republicanism imprinted on them from birth and both used republican terms to insult their enemies. The Confederates, in the south, for example, were fond of referring to U.S. President Abraham Lincoln as “His Majesty, Abraham I” while the adherents to the Union in the north often branded the southern rebels with the title of “Tories”, originally the term for those loyal to the King in the American War for Independence and which had come to be applied to anyone viewed as a traitor to the American cause and ideals, particularly, in this war, with the notion that “all men are created equal”. 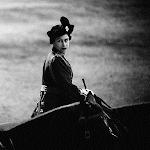 North and south may have had similar political prejudices concerning monarchy but no one could say they both exhibited a similar level of antagonism toward the institution. The southern Confederacy, then as now, could easily be viewed as the more royal-friendly of the two governments. 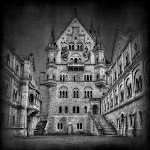 It was the more tradition-minded, aristocratic, “Old World” part of America but this view was also due to a great deal of political expediency rather than genuine sincerity. The Confederacy was clearly outmatched in the struggle and, as such, it was in the interests of the south to persuade other powers to intervene and most of the foreign powers in the world in 1861 were monarchies. As such, a stridently republican attitude would not have served the south well. The north, on the other hand, was in a dominant position from the outset and, needing no direct foreign assistance, simply wanted foreign powers to stay out of the conflict and, indeed, threatened war against any who would even talk of making peace between the north and south. 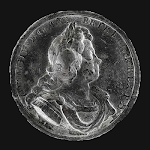 As such, anti-monarchy sentiment was quite common in the north though the great powers of the world tended to fall more on one side than the other depending on their own politics. This never extended to outright support but one could see prospective alliances waiting to happen. It was clearly in the best interests of the French Empire for the Confederates to win and Britain, while less sure, tended at the higher levels of society to favor a divided America as well. With Britain and France showing more sympathy for the Confederates, this left the Russian Empire showing more sympathy for the United States as a counterweight. The United States also had a more republican fervor to it, not because of the American people, but because of Europeans. After the Revolutions of 1848 many European republicans had fled to American shores and most foreign immigrants flocked to the big cities of the north such as Boston or New York City. There were many German, Irish, Polish and Sicilian immigrants to the north who were far more zealous republicans than any native-born Americans for whom kingly rule was a distant memory and who, even earlier than the war, had even developed a bit of nostalgia for the old days of colonialism under King George. However, there was one particular immigrant to the American south whose influence gave the Confederacy a very monarchist appearance, even if not everyone in Dixie’s Land realized it. When the southern states seceded and southern boys marched off to war, they bore more than a passing resemblance to the armies of the Hapsburg Empire of Austria-Hungary. Nicola Marschall was a Prussian-born immigrant to the American south from a family, appropriately enough, of tobacco merchants. 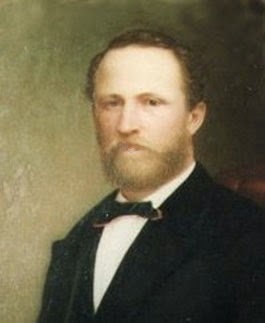 He arrived via New Orleans in 1849 and soon moved to Alabama. He did return to Germany for a time but came back and seems to have regarded Marion, Alabama as his home. By profession he was an artist and taught art in the south for a time. In those days, private schools that served the children of high-born southerners offered gainful employment to a number of Europeans as wealthy planter families wanted their offspring to be as “cultured” as the aristocrats of Europe. Every such southern child was expected to be well educated in art and music as well as being well-read in the classics. This reached such an extent that, though few remember it today, before the war it was very unusual to find a member of a wealthy planter family in the south who could not speak French. As an artist, Marschall painted landscapes and portraits and during his career had several notable people pose for him such as Otto von Bismarck, President Lincoln and Confederate President Jefferson Davis. However, his contribution to the monarchial appearance of the Confederacy did not come from his paintings. 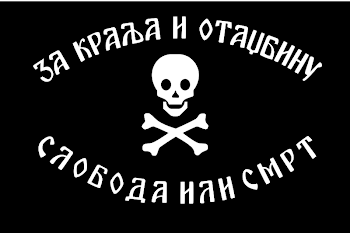 That started when a friend persuaded him to submit an entry for a possible design for a national flag for the new Confederate States of America. A congressional committee had been set up to review designs for a proper flag for the Confederacy and they ultimately chose the design submitted by Nicola Marschall. It became known as the “Stars & Bars” because of its similarity to the United States flag or “Stars & Stripes”. However, if one had looked beyond American shores they would have been able to see clearly what the real influence was behind the first national flag of the Confederacy. 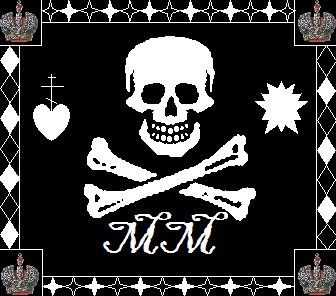 With a field of three broad “bars” of red-white-red with a dark blue canton containing a circle of seven stars (for the seven original Confederate states) it was almost an exact duplicate of the unofficial national flag of Imperial Austria which Marschall would, of course, have been very familiar with. There was clearly an effort being made to keep it in line with the “style” of the American flag but it was obviously mostly influenced by the Austrian flag, adjusted by simply replacing the crowned arms with a more American circle of stars. The flag was formally adopted as the national flag of the Confederacy on March 4, 1861 and first came to world attention when it was raised over Fort Sumter, South Carolina after the first battle of the war. 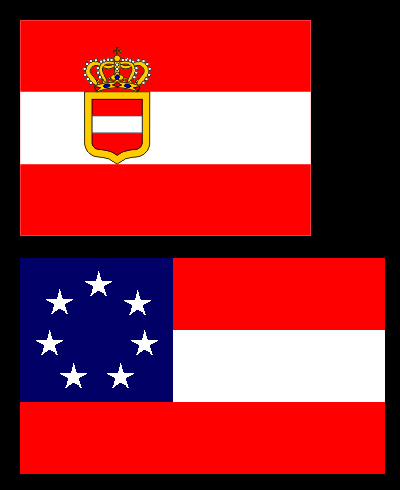 However, the similarities between the Confederacy and Imperial Austria went beyond simply the flag that was flown above them. Another congressional committee was called upon to design a proper uniform for the Confederate army and, once again, via a friend of a friend, Marschall ended up being the one whose design was adopted. Thanks to the Prussian artist, the Confederates would march to war looking a great deal like soldiers of the Hapsburg Emperor. 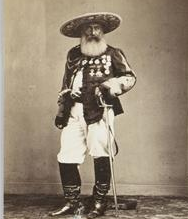 This time, the inspiration dates back to 1857 when Marschall, while in Verona, Italy (at that time under Austrian rule) had seen some Austrian sharpshooters and was quite taken with their stylish uniforms of grey tunics with green facings and stars on the collar to differentiate rank among the officers. 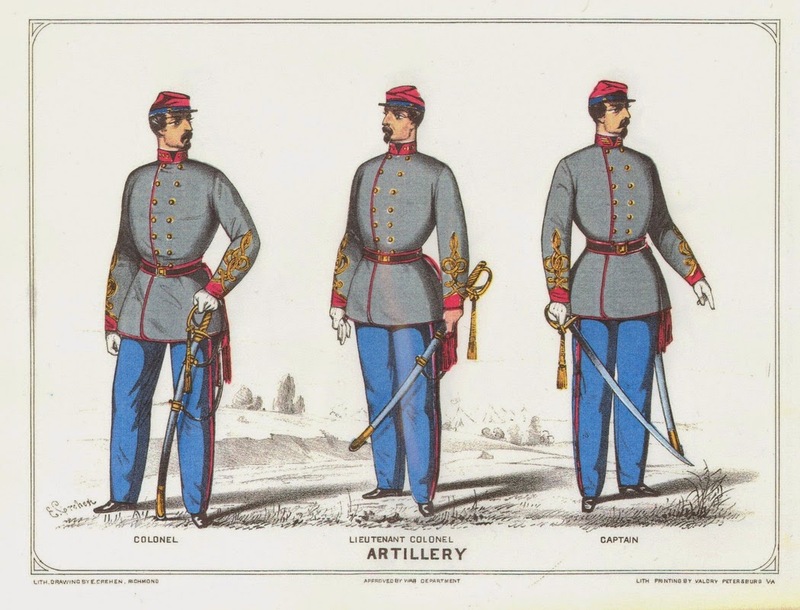 The uniform Marschall designed for the Confederate army was very similar to this, although, ultimately, very few would end up following the official regulations exactly. 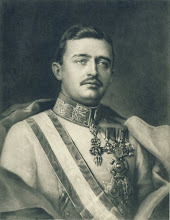 The uniform of a grey tunic (in practice almost invariably replaced by a frock coat or jacket), blue trousers and a French-style kepi (cap) in branch-of-service color was very similar to that worn by the Austrians. 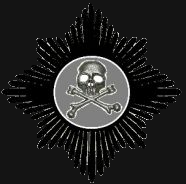 For officers, rank was denoted by bars on the collar for company officers and stars for field and general officers as well as by the braid on the sleeves forming a design known as an “Austrian knot”. It was a very smart uniform though it was rarely seen as it was intended due to a shortage of materials, an aversion to uniformity and matters of practical necessity. The tunic, for example, proved very unpopular and few persisted in wearing it with most soldiers wearing a short jacket and most officers a frock coat. 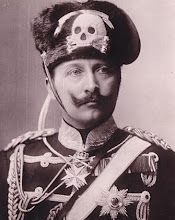 The kepi was also rather unpopular and for most southern troops was replaced with a broad-brimmed “slouch” hat. Colorful facings, trim and braid also tended to disappear as the war dragged on and more plain uniforms were adopted because of cost, shortage of materials and to avoid standing out as a target. Still, some, like Lt. Colonel Archer Anderson (a staff officer for several prominent Confederate generals) and Lt. General James Longstreet were among the few who persisted in wearing the Austrian-style tunics when other officers would not. So it was that, aside from individual units on both sides that adopted the style of troops fighting for monarchs, from French Zouaves and chasseurs to Scottish highlanders, Hungarian hussars and Italian Bersaglieri, it was the Confederate armies that marched to war wearing uniforms and flying a flag that were both inspired by those of the Austrian Empire. What Emperor Francis Joseph might have thought of such a thing, we can only imagine. 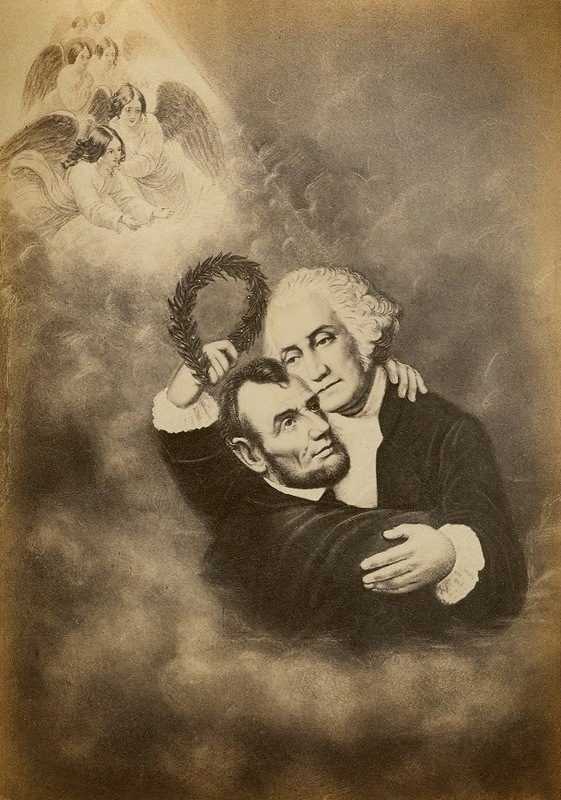 The picture of Washington and Lincoln is really rather grotesque, as if the Virginian would have any use for the man in whose name his state was plundered and despoiled; much less for the cause of a government which purported to make the states and the people servants of the government rather than the reverse. Yes, when I first saw it, I did have to appreciate the irony of showing Lincoln being embraced by a man who was a slave-owning southerner. Woa I did not know that the first Confederate flag was designed by a Prussian! 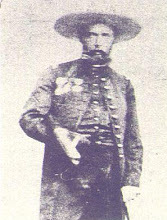 I researched a little bit about Prussians who got involved in the American Civil War and I read that the Prussian prince Felix Salm-Salm fought for the USA and he later helped Emperor Maximilian in Mexico. There was also a Prussian officer named Justus Scheibert who hid inside a nicely situated tree during the Battle of Ghettysburg, but General Robert E. Lee saw him and asked him twice about Union troop movements.